Alltruck2 is delighted to confirm that Dan Rowley has re-joined Alltruck2 as Business Development Manager, supporting the company’s vision for substantial growth over the next couple of years by increasing retail sales of used commercial vehicles. Dan has previously worked for Alltruck2 in a variety of positions, so enters the role with a sound knowledge of the business and an eagerness to align himself to the values and vision that Alltruck2 holds. Josh Robinson, Head of Asset Management, said: “Having previously worked with Dan, I know the qualities that he brings to the role such as his energy and enthusiasm. Dan will be tasked with proactively developing relationships with customers as Alltruck2 aims to increase the number of retail sales of used commercial vehicles. Alltruck has looked after all their vehicles since the first mile, so customers can be assured that the vehicles have been brilliantly maintained, by talented technicians with the best equipment. For this reason, Dan will be able to provide the full-service history for all of our vehicles to customers on request. 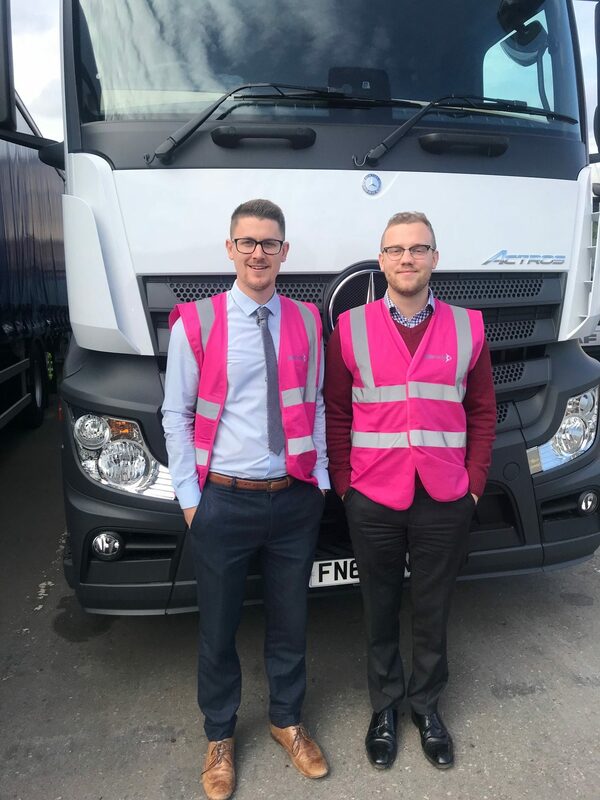 After restarting his Alltruck career on Monday 8 October Dan said: “Having worked at Alltruck before I really respect the values of the company and how these can help me to continue to develop in my career. I am also excited by the vision of Alltruck2 to sell brilliantly maintained vehicles to retail customers. Dan commented that he had noticed Alltruck2 had continued to evolve in his time away. He noted the new partnerships with Midlands Asset Finance, to deliver a range of finance options and the warranty and livery options now available meaning that Alltruck2 can offer the full package to the customer and said this is part of the reason he was attracted back. In his time away Dan has picked up some valuable skills for the role such as a proactive attitude to sales and great customer skills and Josh mentioned that these were key in Dan securing the role. If you would like to join the Alltruck team, please take a look at our vacancies or feel free to send in your CV.